Enemies are those who are seen as forcefully adverse or threatening. The term is usually used within the greater context of war, to denote an opposing group as a threat. His father was no man's friend but his owne, and he (saith the prouerbe) is no man's foe else. Thomas Adams, Diseases of the Soul (1616), p. 53. There is only one thing more useful in politics than having the right friends, and that is having the right enemies. Anonymous, Economist 375: 8432 (25 June 2005), p. 84. Antisthenes, Greek philosopher, quoted in Diogenes Laërtius, Lives and Opinions of Eminent Philosophers, vi. 12. Have you forgotten the story of "Lorna Doone"—how the Doones, men of high family, who had fallen under the displeasure of the Government, had betaken themselves to the Doone Valley, surrounded on all sides by precipitous mountains, and from this strongly fortified position levied their blackmail upon the surrounding country, killing and robbing and outraging the people of the land until the citizens were aroused and determined to extirpate them? Do you recall how the men of the eastern county gathered together on the eastern mountain, and the men from the western county gathered on the western mountain, with their arms and cannon ready to fall upon the Doones and destroy them, when by some untoward accident a cannon from the western ranks was trained across the valley and shot into the ranks of the men of the east, and how, inflamed by this accident, the men on the east trained their guns across the valley into the ranks of the men of the west, and while these foolish people were slaughtering one another, the Doones sallied forth and put both counties to flight and continued to rob and kill and outrage for years to come. Let us heed the lesson, my countrymen! Let me say to Governor Kitchin and Senator Simmons and Chief Justice Clark: The Doones are in the valley. I pray you, gentlemen, train your guns a little lower. Charles B. Aycock, governor of North Carolina, address prepared for delivery in Raleigh, North Carolina, April 12, 1912. R. D. W. Connor and Clarence Poe, The Life and Speeches of Charles Brantley Aycock, p. 361–62 (1912). Aycock did not give the address because he died while making a speech on April 4. The story is from Lorna Doone by R. D. Blackmore. Lord Byron, The Deformed Transformed. A reckless king will easily fall into the hands of his enemies. Hence the king shall ever be wakeful. Chanakya, Arthashastra, Book I : "Concerning Discipline" Chapter 19 "The Duties of a King"
The king who is situated anywhere immediately on the circumference of the conqueror's territory is termed the enemy. The king who is likewise situated close to the enemy, but separated from the conqueror only by the enemy, is termed the friend (of the conqueror). 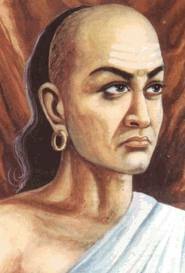 Chanakya, Arthashastra, Book VI, "The Source of Sovereign States"
A weak Invention of the Enemy. Colley Cibber, Richard III (Altered) (1700), Act V, scene 3. Never hate your enemies, it clouds you judgement. Francis Ford Coppola and Mario Puzo, The Godfather Part III (1990), in a line for Michael Corleone. 'Thou canst not joke an Enemy into a Friend; but thou may'st a Friend into an Enemy. You and I were long friends; you are now my enemy, and I am yours. Benjamin Franklin, letter to William Strahan (July 5, 1775). John Bartholomew Gough, reported in Josiah Hotchkiss Gilbert, Dictionary of Burning Words of Brilliant Writers (1895), p. 208. The wise person finds enemies more useful than the fool does friends. Baltasar Gracián, The Art of Worldly Wisdom, in Aphorism 84. (1647). The less you know about your enemies, the easier it is to project all your fantasies on to them. The closer you come to the other, the more you see the vulnerabilities, the paradoxes, the contradictions. Walt Kelly, the words of Pogo in an Earth Day, 1971, cartoon strip, The Best of Pogo, ed. Mrs. Walt Kelly and Bill Crouch, Jr., p. 163 (1982). This succinct expression was derived from a sentence in the Foreword of an earlier publication, The Pogo Papers (1953): Resolve then, that on this very ground, with small flags waving and tinny blasts on tiny trumpets, we shall meet the enemy, and not only may he be ours, he may be us. Sally Kempton, as quoted in Before It's Too Late: Helping Women in Controlling or Abusive Relationships (1995) by Robert J. Ackerman, Ph.D. and Susan E. Pickering, Health Communications, Inc.; and in Feminist Critical Policy Analysis II: A Perspective from Post-Secondary Education (1997) by Catherine Marshall, Falmer Press. Now the trumpet summons us again—not as a call to bear arms, though arms we need—not as a call to battle, though embattled we are—but a call to bear the burden of a long twilight struggle, year in and year out, "rejoicing in hope, patient in tribulation"—a struggle against the common enemies of man: tyranny, poverty, disease and war itself. John F. Kennedy, inaugural address, January 20, 1961. The Public Papers of the Presidents of the United States: John F. Kennedy, 1961, p. 2. The words in quotation marks are from the Bible, Romans 12:12. This is one of seven inscriptions carved on the walls at the gravesite of John F. Kennedy, Arlington National Cemetery. Wee commonly say of a prodigall man that hee is no man's foe but his owne. Bishop John King, Lecture on Jonas, delivered 1594. (Ed. 1618), p. 502. Koran, sura 42; George Sale translation (1887), chapter 42, p. 361. Justin Martyr, reported in Josiah Hotchkiss Gilbert, Dictionary of Burning Words of Brilliant Writers (1895), p. 207. Simon May, English philosopher. The Little Book of Big Thoughts (2005). And at another to let in the foe? John Milton, Samson Agonistes (1671), line 560. We have met the enemy and they are ours—two ships, two brigs, one schooner and a sloop. Oliver Hazard Perry, message to General William Henry Harrison (September 10, 1813). The earliest printed source for this is found in Robert B. McAfee, History of the Late War in the Western Country (1816), chapter 8, p. 354, and the message in its entirety as given here is reprinted in Messages and Letters of William Henry Harrison, ed. Logan Esarey (1922, reprinted 1975), vol. 2, p. 539. Benson J. Lossing, The Pictorial Field-Book of the War of 1812 (1868), p. 530, has a facsimile of the Perry message, with the introduction, "When Perry's eye perceived at a glance that victory was secure, he wrote, in pencil, on the back of an old letter, resting it upon his navy cap, that remarkable dispatch to General Harrison whose first clause has been so often quoted". No source for the original message is given. The circumstances under which the message was written have been told in many biographies of both Perry and Harrison. Mario Puzo and Francis Ford Coppola, The Godfather Part II (1974). This has been variously attributed to Sun Tzu, Niccolò Machiavelli, or Petrarch, but no published sources predating the film have yet been found. Inventé par le caloumnateur ennemy. Invented by the calumniating enemy. François Rabelais, Pantagruel (1532), Book III. 11. 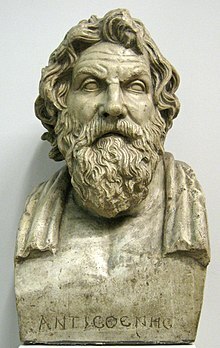 I have political enemies, of course—men who, influenced by party feeling, are not above attacking methods and possibly my official reputation; but personal ones—wretches willing to stab me in my homelife and affections, that I can not believe. My life has been as an open book. I have harmed no man knowingly and, as far as I know, no man has ever cherished a wish to injure me. Anna Katherine Rohlfs, The Mayor's Wife, p. 25 (1907). William Shakespeare, Henry V (c. 1599), Act II, scene 4, line 43. William Shakespeare, Henry VIII (c. 1613), Act I, scene 1, line 139. You shall not be my judge. William Shakespeare, Henry VIII (c. 1613), Act II, scene 4, line 76. William Shakespeare, Henry VIII (c. 1613), Act II, scene 4, line 158. With saints dost bait thy hook! William Shakespeare, Measure for Measure (1603), Act II, scene 2, line 180. Even to the frozen ridges of the Alps. William Shakespeare, Richard II (c. 1595), Act I, scene 1, line 60. William Shakespeare, Richard III (c. 1591), Act V, scene 3, line 306. William Shakespeare, The Winter's Tale (c. 1610-11), Act I, scene 2, line 205. Ivan Sergeyevich Turgenev, "The Rule of Life", Poems in Prose, in his A Reckless Character and Other Stories, trans. Isabel F. Hapgood (1904), p. 317. This appeared in Time, March 5, 1951, p. 31, in a different translation: "If you desire to put your enemy in the wrong or even to damage his reputation, blame him for the very vice which you feel in yourself." Voltaire in a Letter to Étienne Noël Damilaville (16 May 1767). Oscar Wilde, The Picture of Dorian Gray, Ch. 1. (1891). You can know an awful lot about an enemy if you know what he didn’t do as well as what he did do. If you figure out what you yourself should have done under the same circumstances, and know he didn’t do, why, that gives you some valuable hints as to his deficiencies. Donald A. Wollheim, The Secret of the Ninth Planet, (1959), Chapter 6. On-line here. March 27. Still they come in, with about fifty more of the rebels. They look starved and wild, but here they will have enough to eat, and will be cared for as our own men. How strange it seems to see them lying so close to those whom they met so lately with bloody intent—now all powerless to harm them, even if rage had not died out in their hearts. Abraham Lincoln, address before the Young Men's Lyceum, Springfield, Illinois (January 27, 1838), in Roy P. Basler, ed., The Collected Works of Abraham Lincoln (1953), vol. 1, p. 109. Since the general civilization of mankind, I believe there are more instances of the abridgment of the freedom of the people, by gradual and silent encroachments of those in power, than by violent and sudden usurpations. James Madison, speech in the Virginia Convention, Richmond, Virginia (June 6, 1788), in Robert A. Rutland and Charles F. Hobson , eds., The Papers of James Madison (1977), vol. 11, p. 79. Again people are looking for scapegoats. But this time the attack comes not from the outside but from within, from extremist splinter groups of the New Left made up of students and—I am sorry to acknowledge—also of some faculty who would like to see our colleges and universities denigrated, maligned and even shut down. They insinuate, distort, accuse, their aim being not to identify and correct real abuses, but always rather by crying alarm intentionally to arouse and inflame passions in order to build support for "non-negotiable demands." Clearly the old McCarthy technique is at work again…. 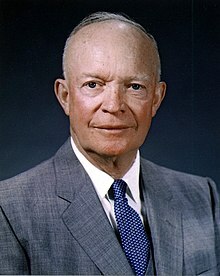 It is more difficult to maintain a realistic sense of human limitation, to refuse to become frustrated and angry; to analyze, to assess, to seek to understand and explain; to determine to be adult and fair; and thus to work patiently to improve while refusing to succumb to either cynicism or hopelessness. It is the long way around, but it is the civilized way, and the only way for those [who] have come truly to understand the role of humane learning. Nathan Marsh Pusey, speech at Harvard baccalaureate service, Cambridge, Massachusetts (June 9, 1970), reported in The New York Times (June 10, 1970), p. 1, 30. George Washington, letter to George Mason (March 27, 1779), in John C. Fitzpatrick, ed., The Writings of George Washington (1936), vol. 14, p. 300. Heero: Who...Who are...My Enemies? My enemies are the ones after my life...My enemies are the ones that are after my life and the ones that toy with my life...They're all my enemies. Quotes reported in Hoyt's New Cyclopedia Of Practical Quotations (1922), p. 221-22. Pierre-Jean de Béranger, L'Opinion de ces Demoiselles. "Nos amis, nos ennemis." [Our friends, our enemies.] Expression used by the French during the truce after the capture of Sebastopol, referring to the Russians. Recorded in the London Times of that date. General Bragg, nominating speech for Grover Cleveland at the Convention of 1884. Every man is his own greatest enemy, and as it were his own executioner. Sir Thomas Browne, Religio Medici. Same idea in Clarke, Parœmiologia (1639). Whatever the number of a man's friends, there will be times in his life when he has one too few; but if he has only one enemy, he is lucky indeed if he has not one too many. Edward Bulwer-Lytton, What Will He Do With It? (1858), Book IX, Chapter III. Introduction. Man is his own worst enemy. Cicero, Epistolæ ad Atticum, X. 12a, Section III. Cicero, Oratio Pro Rege Deitaro, IX. Our enemies will tell the rest with pleasure. Bishop Fleetwood, Preface to Sermons. Ordered burned by House of Commons, May, 1712. Small is the work that he has done. Has been a coward in the fight. Nothing is so dangerous as an ignorant friend. Better is it to have a wise enemy. Jean de La Fontaine, Fables, 8, 10. None but yourself who are your greatest foe. Henry Wadsworth Longfellow, Michael Angelo, Part II. 3. Thomas Middleton, Anything for a Quiet Life (1621), Act V, scene 1. But the world is small when your enemy is loose on the other side. On peut tout employer contre ses ennemis. Artifice is allowable in deceiving a rival, we may employ everything against our enemies. Contain my deadliest enemy and me. Robert Southey, Roderick, the Last of the Goths, Book XXI. Jonathan Swift, Quoted in Letter. (30 May 1710). Attributed to Vespasian and Charles IX of France. I have fought your Majesty's enemies, and I now leave you in the midst of my own. Maréchal de Villars to Louis XIV, before starting for the Rhine Army. The French Ana. Attributed to Voltaire by Duvemet—Vie de Voltaire. Right it is to be taught even by the enemy. Variant translation: You can learn from anyone, even your enemy. Ovid, Metamorphoses (Transformations) (8 A.D) IV, 428. Les dons d'un ennemi leur semblainte trop à craindre. To them it seemed that the gifts of an enemy were to be dreaded. This page was last edited on 18 January 2019, at 10:27.